The one on the left was made with galvinized steel, the other stainless. 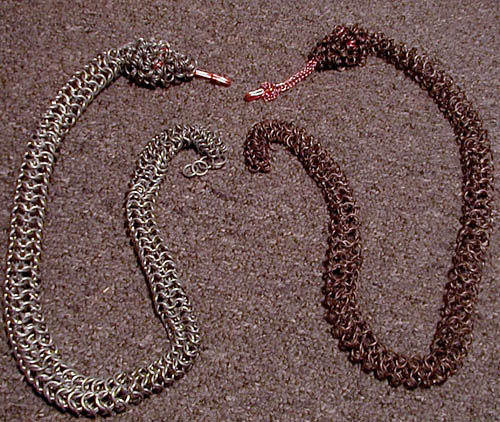 Theyre both made in similiar ways, using a cylinder weave for the body, and oriental for the head. This belt was inspired by Chao.